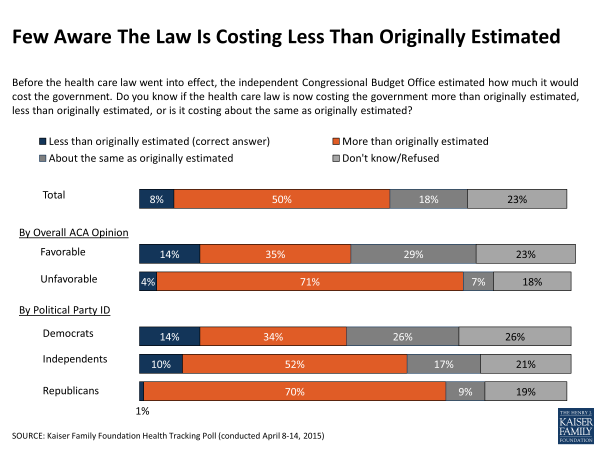 One had to wonder where public opinion would be if Americans understood that the law is coming in as far less expensive than projected by the Congressional Budget Office when the law was signed in 2010. Maybe not at all. And certainly, one significant reason the law is coming in as less than projected is because of the US Supreme Court’s ruling in 2012 that the expansion of Medicaid had to be optional, and not mandatory, for states. The 22 states that have not expanded Medicaid, including the behemoths of Texas and Florida, have played a role in keeping costs down. Though so has the unexpected and dramatic slowdown in the rate of health spending growth played a substantial role in the decline. 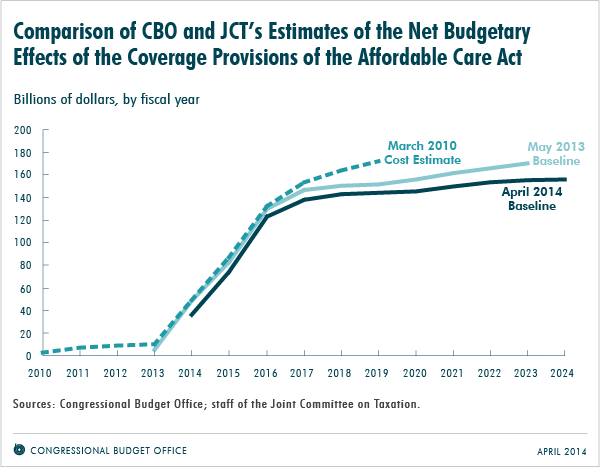 And perhaps, just perhaps, the avalanche of anti-ACA advertising as well as the common assertions by ACA opponents that that ACA’s costs are exploding has had an impact on public beliefs as well.